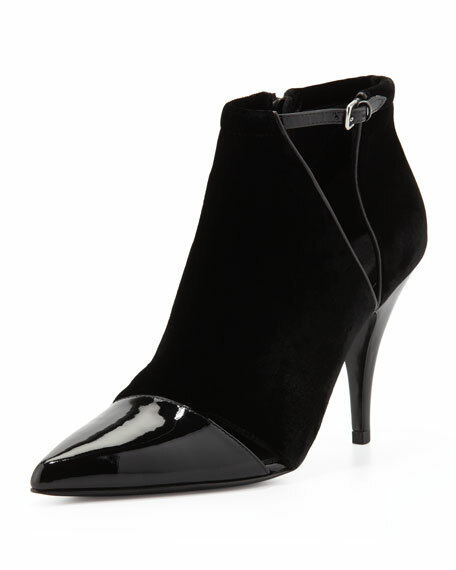 To the point: 3.1 Phillip Lim keeps the focus razor sharp on this pointy-toe bootie. Creative cutouts reveal an unexpected flash of skin. 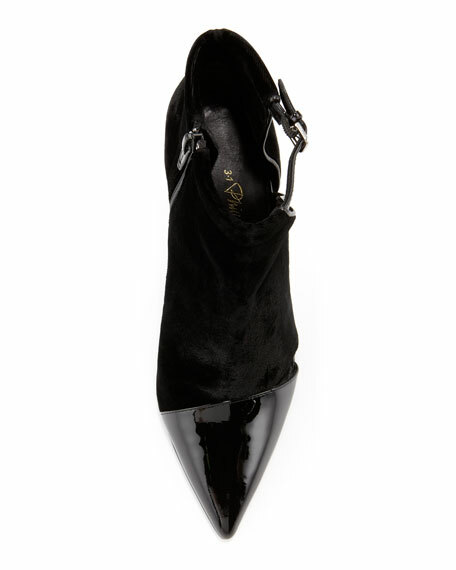 Velvet and patent calfskin upper. Pointy cap toe with cutout detail. V'd cutout inside with thin adjustable buckle. Outside side zip for ease of dress.